Spring! 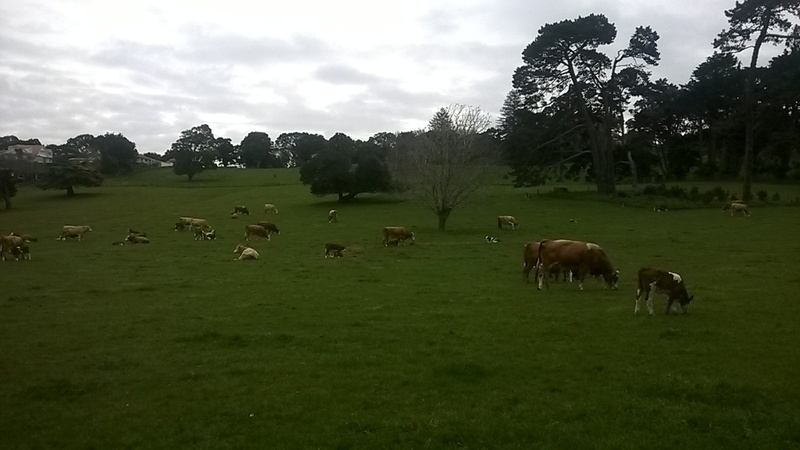 On the weekend we went and visited the calves (little moos) and the lambs (lambies) in Cornwall Park and it was pretty awesome. Plus, you know, blossoms, daffodils and warmer weather. Colouring in! I love that colouring in for adults is a thing now. 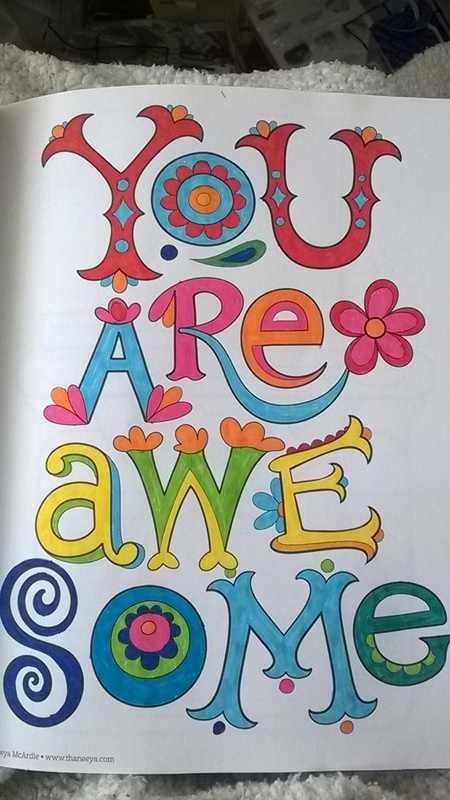 I started on my hipster colouring book and did this ‘You are Awesome’ page. It’s a good message to remember. America! OMG I fly out tomorrow! There are plans for adventures and I shall be taking photos and omg. It’ll be intense I think, but I am looking forward to being in late American Summer and catching up with the cool people at XOXO and some of my States friends in other cities as well. Writing! well, more to the point, editing. This week I called the marvellous Lee Murray about what kinds of questions I should be asking my editor about my manuscript and she was amazingly super helpful and encouraging, and then I called my editor and got three pages of notes and advice on what to do with the novel going forward. It feels really good! I am going to not at all think about my novel while I’m away though, if I get writing inspiration I’ll write new things and have a creative play instead. Honourable Mentions: chocolate milk, waffles, candy, new books, catching up with friends, new Face Off episodes, music, vegetables, delivery foods, postcards, decluttering, cleaning out and sleep. This entry was posted in Positivity and tagged music, TiLT, writing by Jamie. Bookmark the permalink.